The New Jersey statute that relates to burglary is N.J.S. 2C:18-2. That statute specifies two different ways that a person can be guilty of burglary. The first way is for the person to enter a research facility or structure, or a separately secured or occupied portion thereof. This of course applies only where the person had no legally recognized right to enter. Thus if the research facility or structure was at the time open to the public, entry would not constitute burglary. The second way to commit burglary is for a person to surreptitiously remain in a research facility, structure. or a separately secured or occupied portion knowing that he had no legally recognized right to do so. Regardless of whether it is the first way or the second, New Jersey law makes the person guilty of burglary only if, at the time he entered or remained, it was his intention to commit an offense inside. 2. Is armed with or displays what appears to be explosives or a deadly weapon. New Jersey's definition of research facility is insane. It includes any building, laboratory, institution, organization, or school engaged in research, testing, educational or experimental activities, or any commercial or academic enterprise that uses warm-blooded or cold-blooded animals for food or fiber production, agriculture, research, testing, experimentation, or education. A research facility includes, but is not limited to, any enclosure, separately secured yard, pad, pond, vehicle, building structure or premises or separately secured portion thereof. Structure includes any building, room, ship, vessel, car, vehicle, or airplane. It also means any place adapted for overnight accommodation of persons or for carrying on business therein regardless of whether person is actually present. “Purpose to commit an offense” means that the defendant intended to commit some unlawful act inside the structure or research facility. As already mentioned, New Jersey specifies circumstances that will elevate burglary from a third degree crime to a second degree crime. 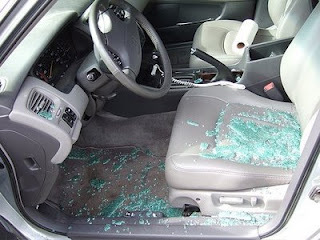 One of those circumstances is when a burglar recklessly inflicts bodily injury upon a victim. New Jersey defines “bodily injury” to mean physical pain, illness, or any impairment of physical condition. Still another circumstance that elevates burglary from third to second degree is when the burglar is armed with or displays what appears to be an explosives or a deadly weapon. In order for a person to be armed with or display what appears to be explosives or a deadly weapon, he must first be in possession of them. New Jersey law concerning what constitutes “possession” is quite involved. We explain that law in detail elsewhere on this site. Allan Marain and Norman Epting, Jr. are New Jersey burglary lawyers. Both have successfully represented countless persons charged with burglary. Charges have alleged burglary of homes, burglary of cars, burglary of stores, burglary of offices, burglary of schools. Do their clients avoid convictions in every single case? Of course not. However, their extensive training and experience give burglary clients a huge advantage. Their representation explores available issues. It probes for weak spots in the prosecutor's case. It enables them to reduce or minimize consequences of burglary charges and, in a decent number of cases, obtain dismissals and acquittals. Call them to review your situation. Or click the Case Evaluation button at the top of this page. They talk to you in plain English, not this legal mumbo jumbo. Call them! Page last updated 20 August 2017, and displayed Thursday 18 April 2019, at 06:20:33 EDT.